Friends of Mark Dombroski, whose body was found dead Monday in Bermuda, describe the St. Joseph's University freshman as a kind man who smiled often. Dombroski, 19, of Upper Providence, Delaware County, was found in a moat Monday after disappearing from a bar early Sunday morning in Hamilton. Police have not given a cause of death, but have not ruled out foul play. Dombroski, 19, had traveled to Bermuda with the university rugby team to compete in an international tournament. He suffered an injury during the final game, played on Saturday. "I was shocked and devastated and I couldn't believe that something so close to us like this would be happening because we live in a small bubble," Dombroski's friend, Jessica Warrington, told WTXF. Warrington was among many friends, coaches and former teachers who gathered Monday at Nativity BVM Church in Media to mourn Dombroski's death. He graduated last year from Archmere Academy in Claymont, Delaware. 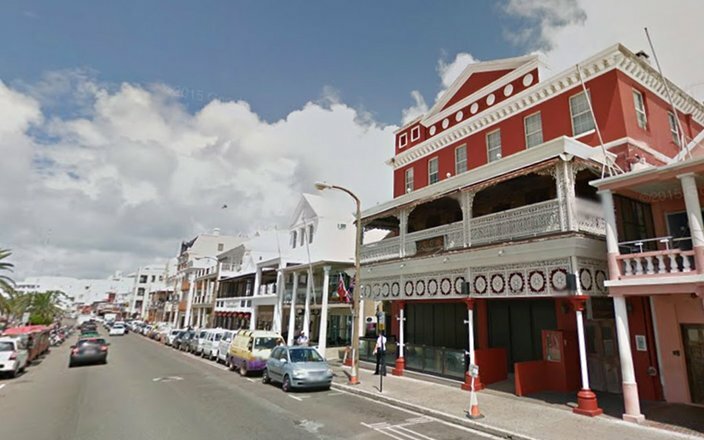 The Dog House Bar on Front Street (red building at right) in Hamilton, Bermuda, where St. Joseph's University student Mark Dombroski drank with rugby teammates before his death. "He was one of the kindest and nicest people I've ever met," Mike Mallon told WTXF. "Whenever I saw him, he'd always have a smile on his face." Students at St. Joseph's University learned of Dombroski's death during a prayer service on Monday afternoon. A collective gasp could be heard throughout the Chapel of Saint Joseph, according to The Hawk, the university's student newspaper. Joe Horton, a freshman who lived on Dombroski's floor in Villiger Hall, said they would talk about sports with their other floormates. Dombroski sent him Snapchats from Bermuda, he said. "He is the person that brightens your day with a smile," Horton told the newspaper. "He's always in a good mood." Dombroski disappeared shortly after midnight on Sunday after leaving The Dog House Bar, a night club located along Hamilton Harbour. Closed circuit TV cameras showed him on Middle Road – about 1.5 miles away – at 1:15 a.m.
Police recovered Dombroski's body Monday in the moat at Fort Prospect, a colonial fort located next to Bermuda police headquarters. An autopsy will be conducted to determine his cause of death. Frank Arnold, the owner of Dog House Bar, told a Bermuda newspaper that he had a "personal interaction" with Dombroski before he left the bar. He said Dombroski was "going in and out of the bar" with friends and was "not incoherent in any way." "He was not sober, but he was not intoxicated," Arnold told The Royal Gazette. "That's why we allowed him to come back and forth. He was trying to co-ordinate his friends to get going back to the barracks where they were staying." The team was staying in Warwick Camp, located about five miles from where the student's body was found, the newspaper reported. Nine other teammates also had made the trip to participate in the Ariel Re Bermuda International 7's rugby tour. The team left Bermuda on Sunday, according to The Hawk. Coach Dan Yarusso stayed behind to assist with the search efforts. Dombroski's family also assisted with the search. 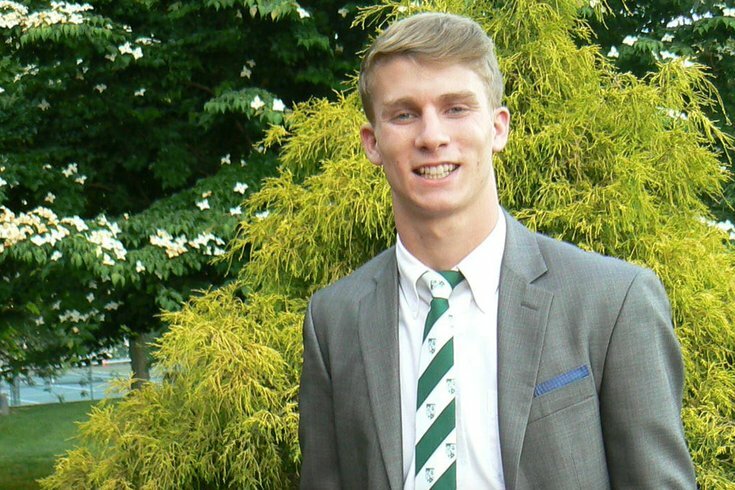 St Joseph's University's rugby team posted a statement to Facebook mourning the loss. "Terribly saddened by the loss of our teammate Mark Dombroski ('21) who was our friend, our teammate, and our brother," the statement read. "A true champion of the game. Our sincere condolences to the Dombroski family and friends. A huge thanks to the many people of Bermuda for all their help and support over the past couple of days. RIP #7." The university also issued a statement, extending its "deepest sympathies to the Dombroski family, along with Mark's teammates, classmates and friends."